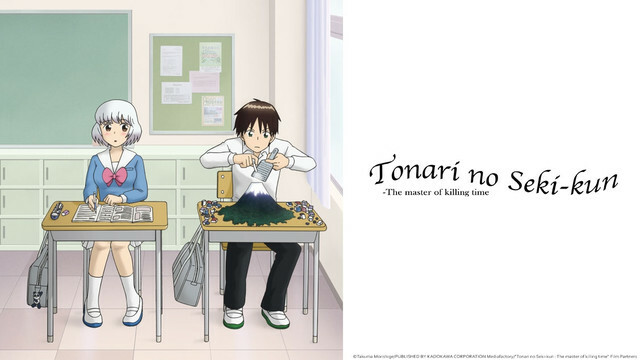 Summary: The story revolves around a girl named Yokoi who sits next to a boy only known as Seki-kun, who of course sits in the back of the class, by the window. Seki is always finding ways to pass time in class, anything besides paying attention. 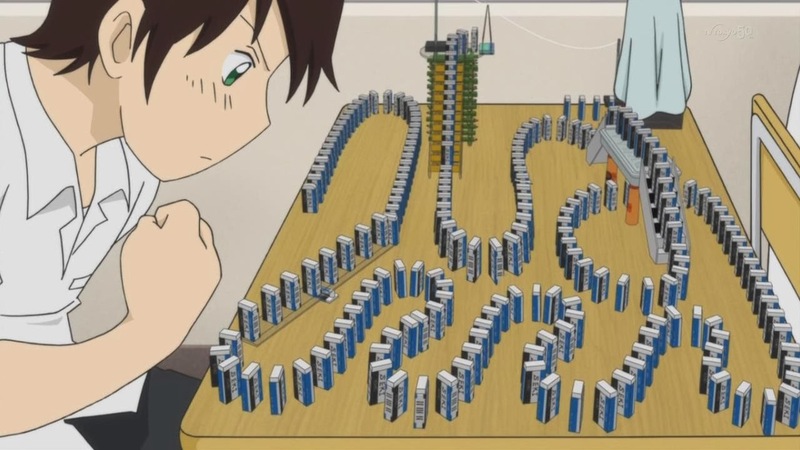 Whether he is playing a game of Go or starting his own mail service, Seki is always up to something new. Yokoi always seems to get caught up in his games, even though she is the one that usually gets caught not paying attention to the teacher! The Master of Killing Time is a fun watch from beginning to end. The episodes are short-form, which is the perfect amount of time for Seki-kun’s shenanigans. It is amusing to watch Yokoi get caught up in Seki’s various activities, even when she is trying so hard to pay attention in class. It is interesting and enjoyable to witness the amount of non-verbal communication that occurs throughout each episode, from the thoughts that go through Yokoi’s head to the actions that take place on Seki’s desk. While there is a lot going on in the anime, there is not a lot of verbal communication, being that Yokoi and Seki must be quiet and non-disruptive during class. For an anime with only two main characters, there is only one that speaks throughout the series. I did not realize that until I had completed the series and thought about it for a minute. However, for a short-form anime, I feel like you get to know the main characters pretty well. You might enjoy this if: You are ready for a break after an intense anime. This is a good series to watch an episode or two at a time and have a quick laugh. You might not like it if: You want a hearty series full of substance, story, and development. The anime you get in episode one is about the same as the last episode of the series. This entry was posted in Anime and tagged 2014, amv, anime, comedy, elaborate, figaro, form, fragglepuss, killing, kun, master, nicolio, nicolio1313, review, school, seki, short, time, tonari, wasting, winter. Bookmark the permalink.